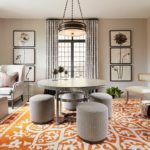 Summertime is often associated with bold, bright colors, but I believe that soothing pastels also have a place under the sun. 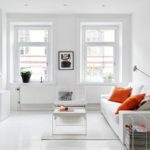 With all the heat this season brings, what I really crave is a dose of soft, subtle hues. This installment of Weeken(DIY)ing is chock-full of pretty pastels that are sure to make your home feel relaxing and stylish. 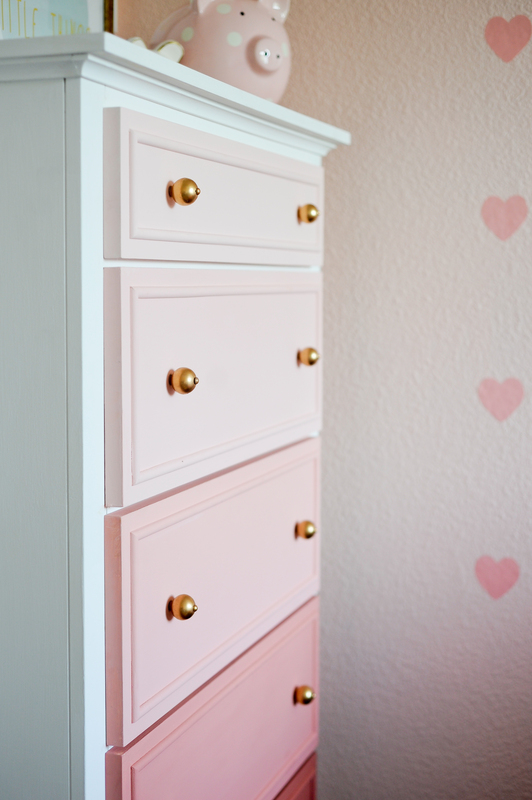 On the furnishing side of things is a great DIY Ombre Dresser courtesy of Kristin at Project Nursery. A gentle gradation of color provides contrast and character to even the most well-loved of dressers. Have an old chest of drawers intended for the curb? 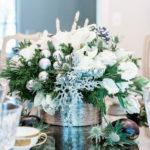 Transform it into a stylishly unforgettable piece via this easy DIY. Plants are a simple solution for bringing life into a home. 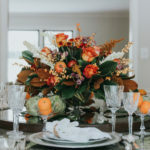 Adding flora throughout a space is one of the most overlooked, yet easily accomplished ways to breathe charisma into a living space. 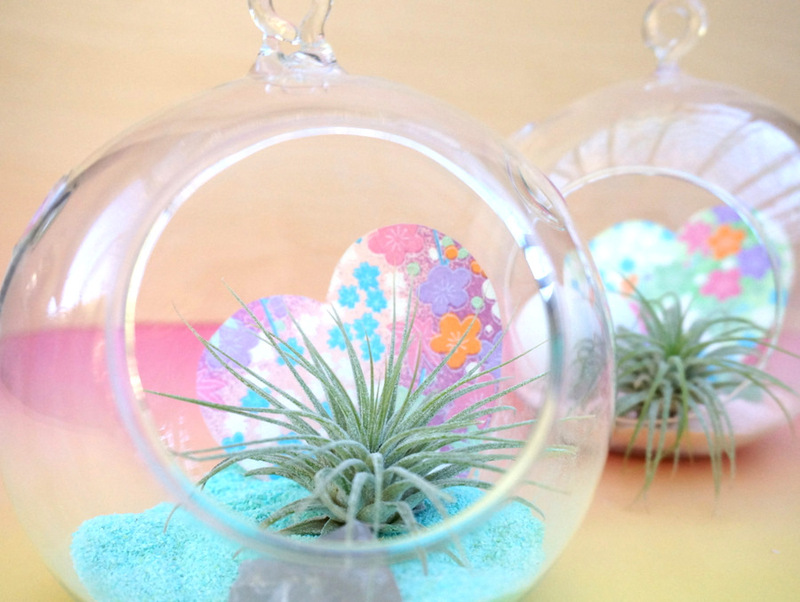 Decoist found an endearingly personal way to customize the standard bubble terrarium air plant with its DIY: Pastel Air Plant Terrarium. All you need to make this is origami paper, rocks, and colored sand. Step into the more delicate side of the chromatic scale with Earnest Home Co.’s ingeniously simple Pastel Dipped Glassware. It goes to show that any glasses lying around can be repurposed into something beautiful and elegant with a simple coat of gloss and paint. 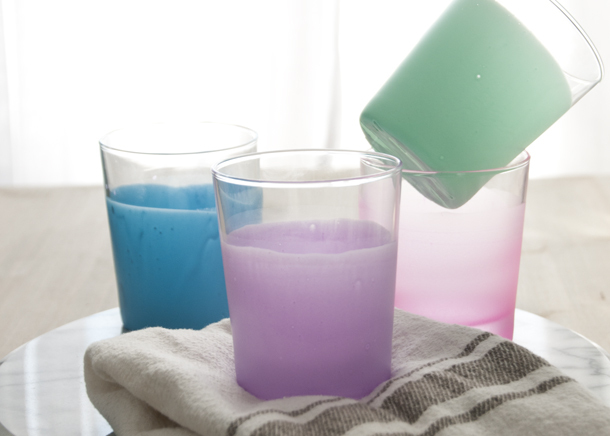 We love the ethereal, semi-translucent look of these cute cups. Bonus: They’re dishwasher safe!